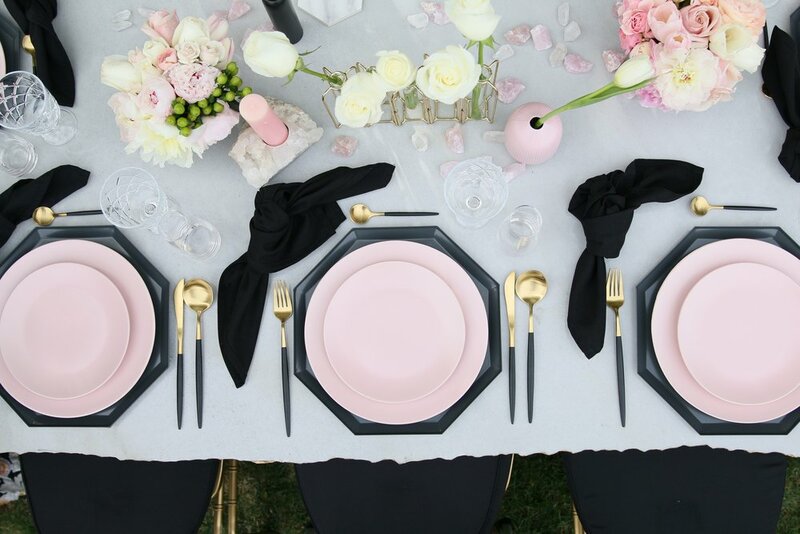 Place settings that include assorted black geometric chargers, blush pink dinner and salad plates, black linen napkins, and modern gold and black flatware. 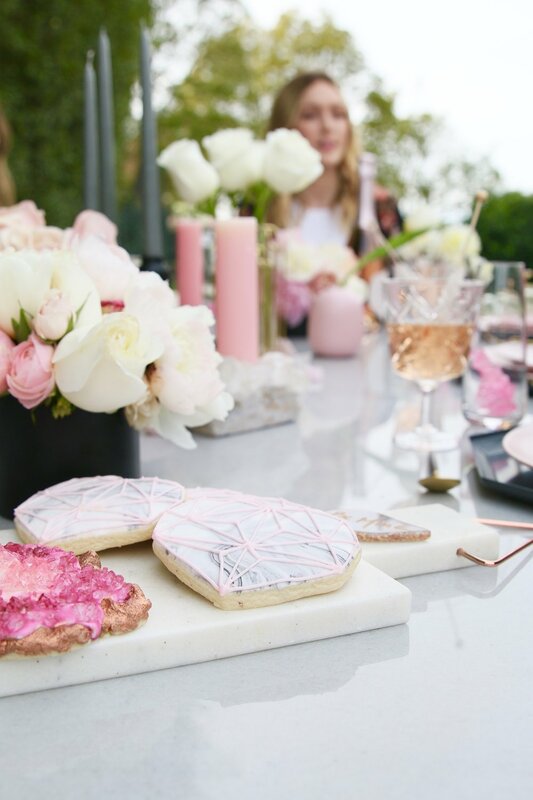 Geode candle holders, black vases with an option of faux or real flowers, gold, glass, and pink vessels, and rose quartz accents. Touches of geode and gemstones throughout the décor. 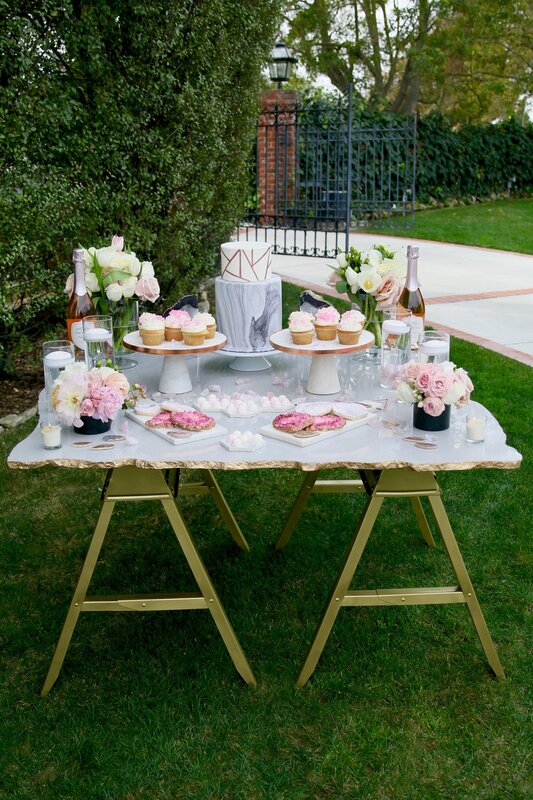 White, marble, and rose gold cake platters to display your sweets. 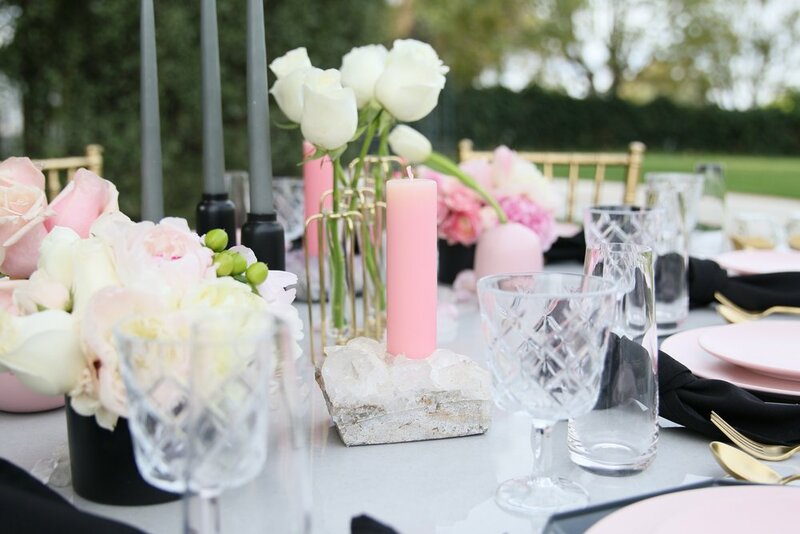 Also includes floating candles, black vases with soft pink and white florals, and small votive candles. Assorted glassware for drinks and more drinks. Let us know if you'd like to add these custom geode inspired treats to your order!